The festival will begin on Friday and run through Monday, noted Entertainment Weekly. The exact date of the Steve Jobs premiere hasn't been published, though the movie could be screened multiple times based on demand. For people in Telluride, first ticket priority will go to passholders. Individual tickets may be available for $25 just prior to a showing. The movie is one of the most anticipated about Jobs since the Apple co-founder's death in October 2011. It features an unusual script by Aaron Sorkin —centered around three press events hosted by Jobs —and stars Michael Fassbender in the lead role. Numerous other A-list actors are also in the cast, including Seth Rogen as Steve Wozniak, Jeff Daniels as John Sculley, and Kate Winslet as former Mac marketing head Joanna Hoffman. The film has had a difficult road. Christian Bale dropped out as the lead in November last year, and the movie changed hands from Sony to Universal Studios with Fassbender on board. Originally, The Social Network's David Fincher was tapped to be the director, but he allegedly pulled out of talks. 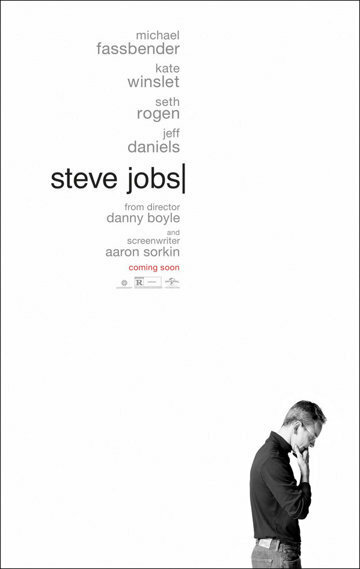 Steve Jobs should show at the New York Film Festival on Oct. 3 and reach the public on Oct. 9.